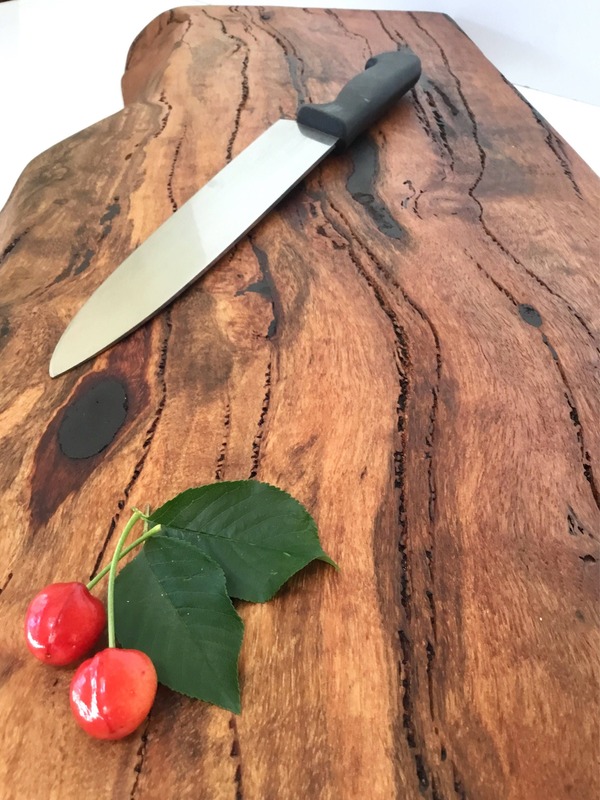 One solid slab of West Australian Marri, no joins. 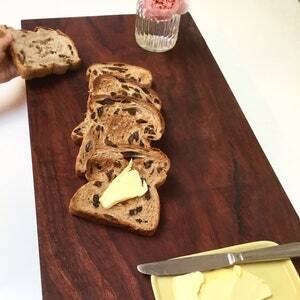 This unique natural board reminds me of a slab of gingerbread. 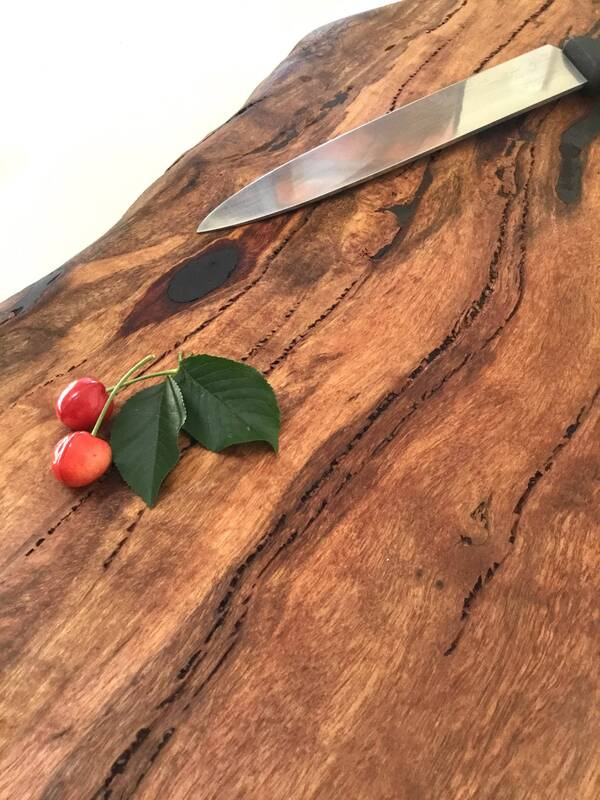 It has amazing natural gum vein striping throughout. 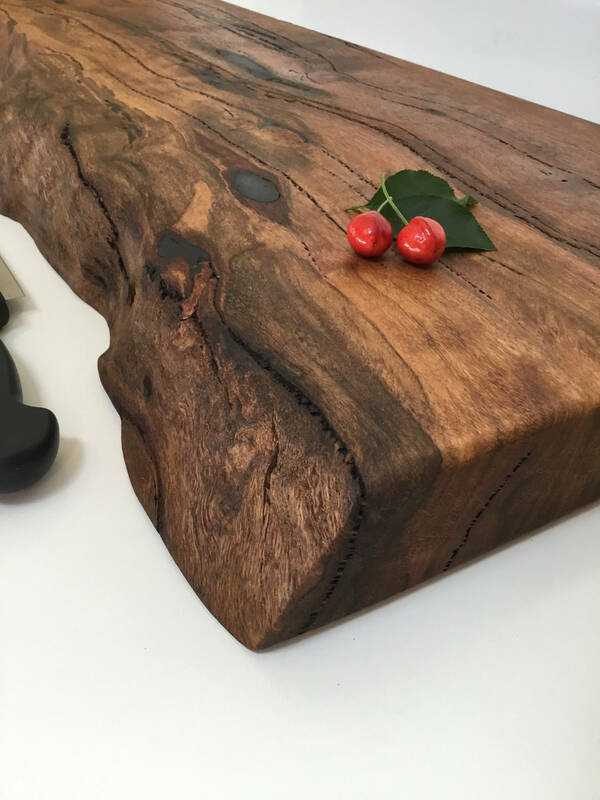 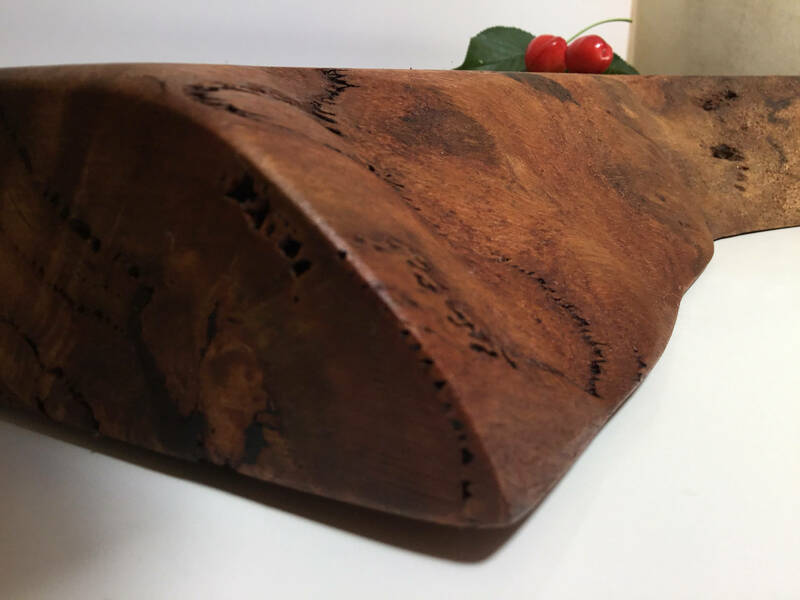 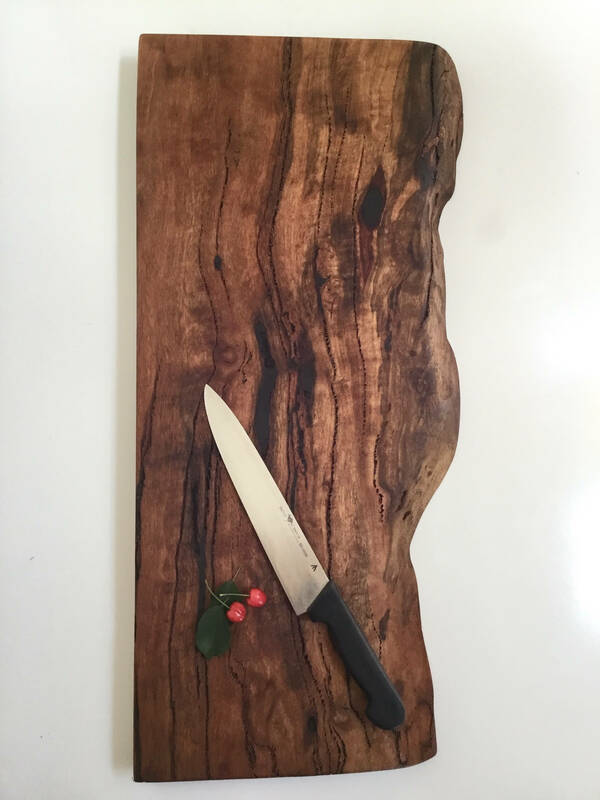 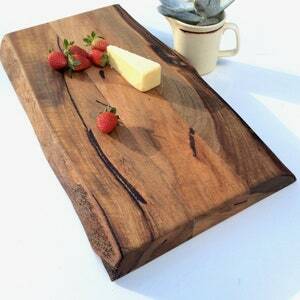 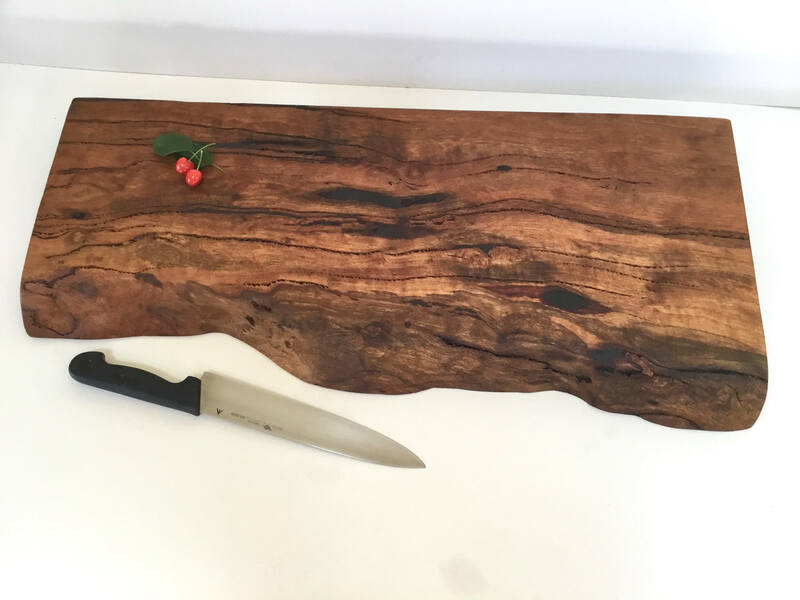 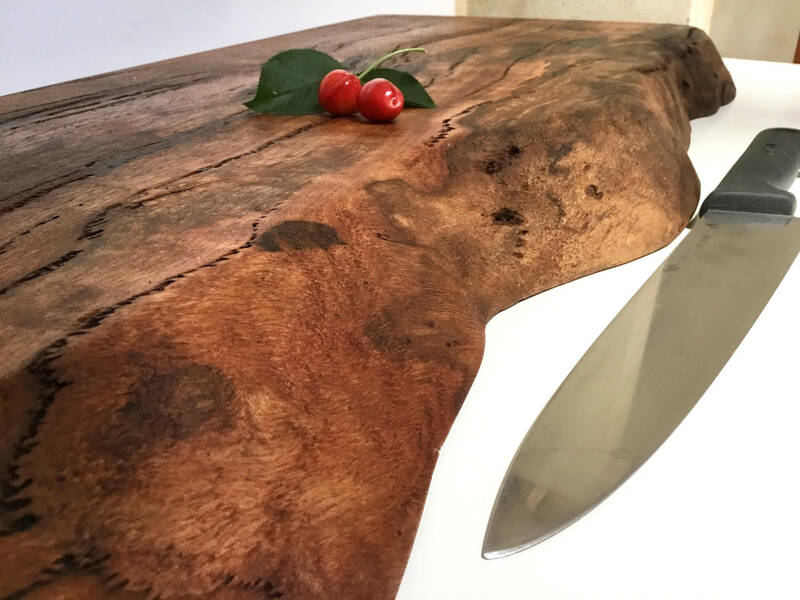 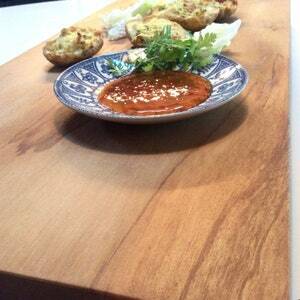 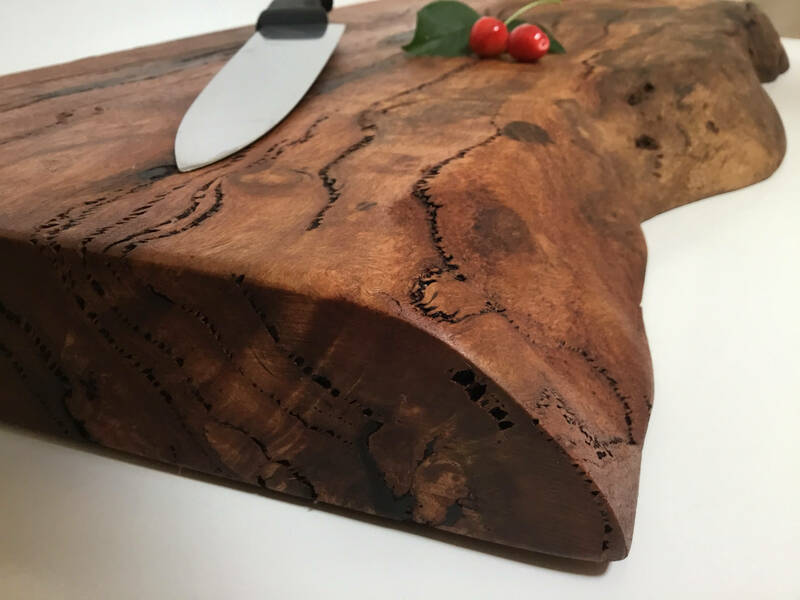 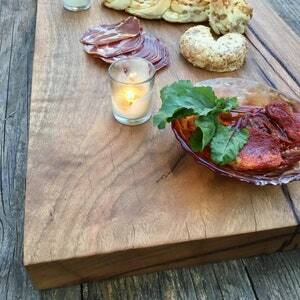 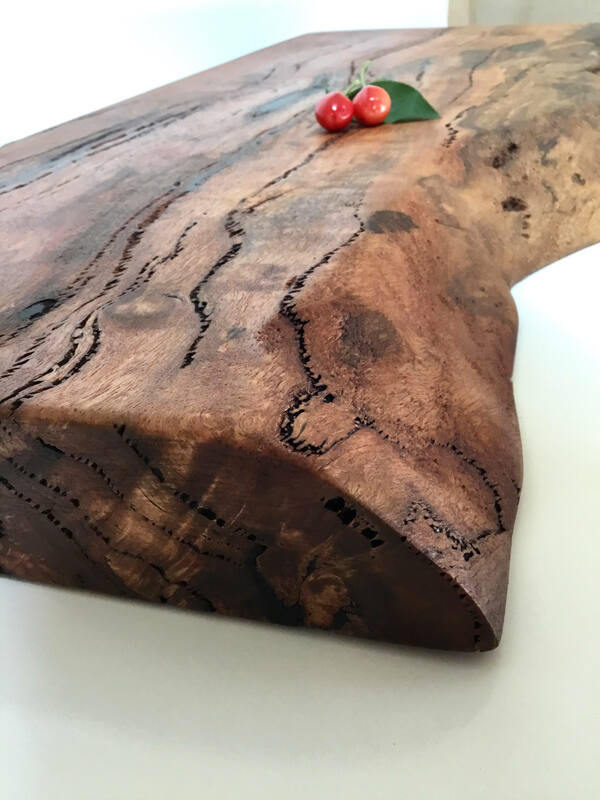 If you are looking for a Huge wooden kitchen board or a rustic, character filled centrepiece for a table, this is the piece for you. 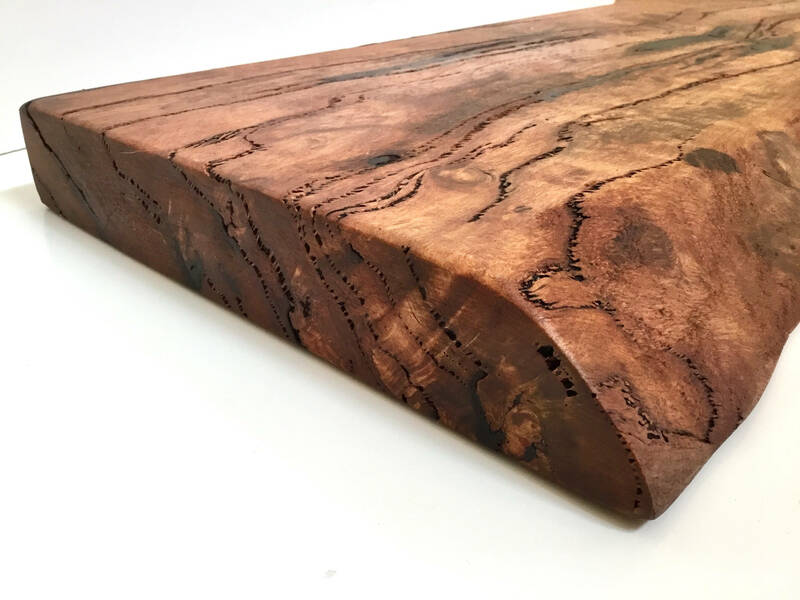 The streaky gum veins and mottled tones are classic features of West Australian Marri.